A romantic port town made up of elegant Venetian houses lining narrow streets, Nafplio was the first modern capital of Greece. It attracts a happy mix of visitors and the best places to stay in Nafplio reflect this with a wide range of accommodation from pensions and guest houses to boutique hotels. Weekending Athenians mingle with international travellers in the cafes and tavernas along the waterfront, browsing the upmarket boutiques and sampling the local cuisine. Some of its beauty, and romance comes from its position, beneath the Palamidi Fortress, a vast citadel built on top of an outcrop of rock 200 metres above Nafplio's port. But this is an ancient town and so the fortress is not its only attraction, there are many museums, several smaller forts and some charming churches to explore. and Bourtzi, also built by the Venetians, which sits on an islet just west of the main port. The Old Town, which covers the peninsula, is the most romantic part of town and is one of the best places to stay in Nafplio if you appreciate fine architecture. It has a very Italian feel to it, but look closer and you'll begin to see the Byzantine and Ottoman influences. Everything within the Old Town is within walking distance and one of the greatest pleasures of any stay here is just strolling the lovely streets. The area around Psaromachala, is less grand than the other parts of town, but has its own Greek Island feel. 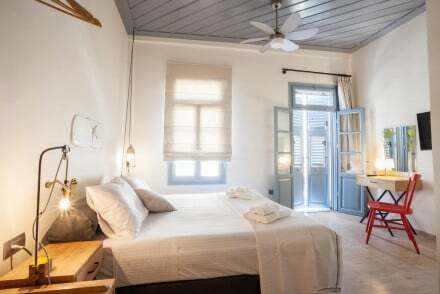 Several of the larger mansions in this area have been converted in to guesthouses, and this is one of the best places to stay in Nafplio if you want to feel like you're away from other visitors. Some of the little fishing villages around Nafplio are worth exploring, and you'll discover some beautiful lagoons, quiet beaches, picturesque old churches and friendly tavernas. Nafplio has a fascinating Archaeological Museum, which is set in one of the beautiful old Venetian buildings overlooking Syntagmatos Square, Nafplio's main square. The Nafplio branch of the National Gallery is also housed in a particularly lovely building. Alternatively, spend an afternoon at the well-regarded Folklore Museum or the War Museum. The ancient town of Argos is also worth popping out to if you get a chance, it's quiet and rural now, but it's also thought to be the oldest town in Europe. Lastly, Nafplio is an excellent base for visiting Mycenae and the Epidaurus Theatre. 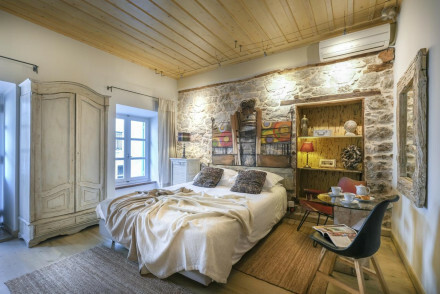 During the summer high season, like elsewhere in Greece, the town can get very booked up so in order to snag one of the best places to stay in Nafplio be sure to book well in advance. The Hotel Byron. This townhouse has been converted from an ancient building, right in the heart of the old town. Take one of the balcony rooms and you'll have a wonderful view of the rest of the town and the sea. With rooms starting from only €40 per night B&B, the value is unbeatable. The Aetoma Hotel is a must. The hotel has been created from an 18th-century mansion and is located in the heart of the Old Town. Its five rooms are traditional and comfortable and some enjoy marvellous sea views. Breakfast is a highlight too, with home-made bread and jams. The Nafplia Palace is one of the best places to stay in Nafplio if you're here for a special occasion, or you just want to treat yourself to a beautiful setting, sweeping sea views, a private beach and plenty of luxury. If you'd prefer the privacy of a self-catering apartment then we suggest you browse through the wide variety available online with our partner, Booking.com. If you're here for the weather then come in July and August, with the average temperature rising to 31°C in these months. This, however, is peak season, so for a cheaper and quieter alternative consider coming in the spring or autumn instead. Fly into Athens International Airport before taking a bus or a train over to Nafplio. If you fancy the freedom of having a car then browse through the wide selection available with our partner, Rentalcars. 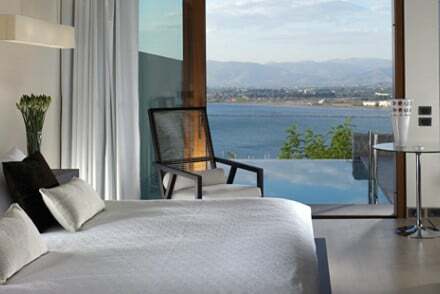 Browse though our list of all the best places to stay in Nafplio. For more choices check out our full list for the Peloponnese. Alternatively, contact one of our friendly gurus for advice. This traditional, family-run hotel is situated on an idyllic street in central Nafplio. The individually styled rooms have modern, hand-selected furnishings; the best have a balcony overlooking the pretty town. Enjoy breakfast on the picturesque terrace at this smart yet homely bed and breakfast. 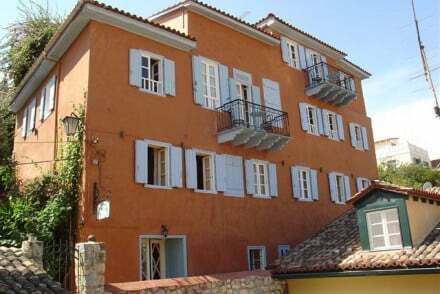 This boutique guesthouse is in the Gialos neighbourhood of Nafplio. 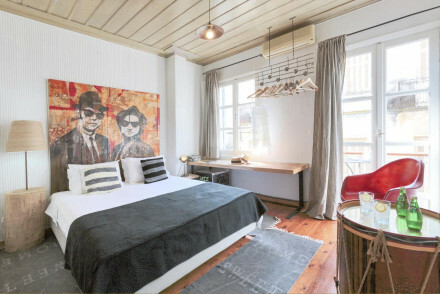 Sitting within a restored heritage building, suites are individually styled with unique, retro design pieces and commissioned artworks; the best offer a private jacuzzi. Pop into the Adiandi café for a coffee; a charming hotel. This boutique hotel is located in Nafpoli's old town on a quiet pedestrian street. The themed rooms are individually styled and feature artworks by Italian artist Francesco Moretti; expect upcycled décor and cosy linens. Enjoy a homemade Greek breakfast in the Adiandi Café. A delightful guesthouse. Small, pretty townhouse hotel with balconies and views and a sunny terrace above the harbour, a good value base for local exploring. 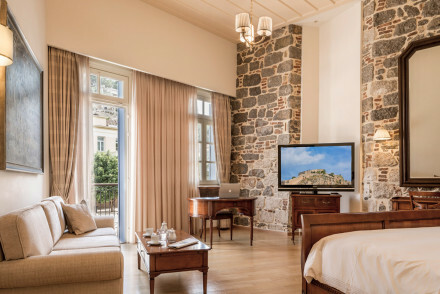 This hotel sits within an elegantly renovated 19th-century mansion in Nafplio. Rooms feature crisp white linens and have dark wood and brass accents in keeping with the hotel's heritage; the largest suites can accommodate up to 4 people. Enjoy breakfast in the garden at this historic hotel. Charming 'neoclassical' pension in an 18th century mansion in the old Venetian town of Nafplio with wonderful sea views. An excellent base for exploring ancient Greek sites in the Peloponnese. Family run, the delightful owners give a warm welcome. Everything from the jams to the bread are homemade. B+B - Wonderful breakfasts in the sunny first floor dining room served until midday! 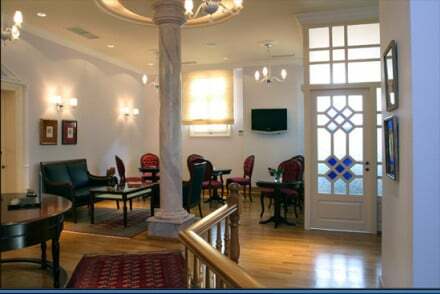 This smart period hotel is located in a landmark building in Syntagma Square, Nafplio. The building has been lovingly restored, with exposed stone walls and antique, dark wood furniture. The best suites have separate living space and a terrace. Pop in to the hotel café for a coffee. A luxury stay. 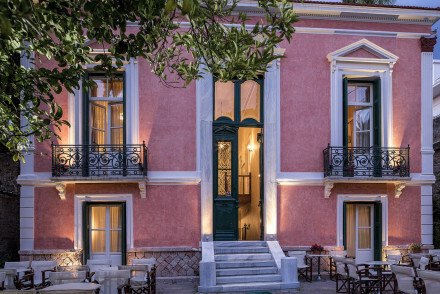 This boutique hotel occupies a renovated neoclassical residence in Nafplio. Rooms boast luxurious linens and regal furnishings in keeping with the hotel's history; the best suites have a cosy fireplace. Dine at the grill-oriented restaurant or have a drink at the sleek bar. A smart heritage hotel. Seafront hotel in Greece's ancient capital. The terrace has lovely romantic views of the harbour, while interiors are chic and smart. Expect bright airy rooms with simple modern fittings, and a delicious mix of Greek and Mediterranean food at the hotel's two restaurants. A wonderful sun filled base! 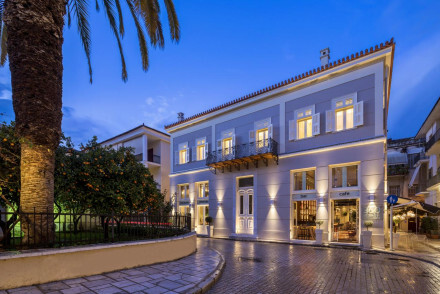 A neoclassical mansion turned refined boutique in central Nafplio. 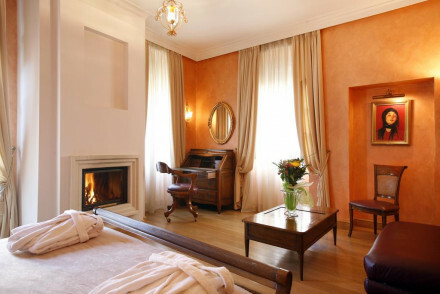 The charming suites offer Italian furnishings, marble floors, reproductions of famous artworks and most offer balconies. The central courtyard and pool are a real coup, and the off-site restaurant is utterly delicious! A rare find. Highly luxurious hotel in a beautiful setting. Sea-facing rooms and suites in contemporary style with private balconies, all the mod cons and private pools. Two excellent restaurants, pool, and private beach. A holiday haven for romantics.